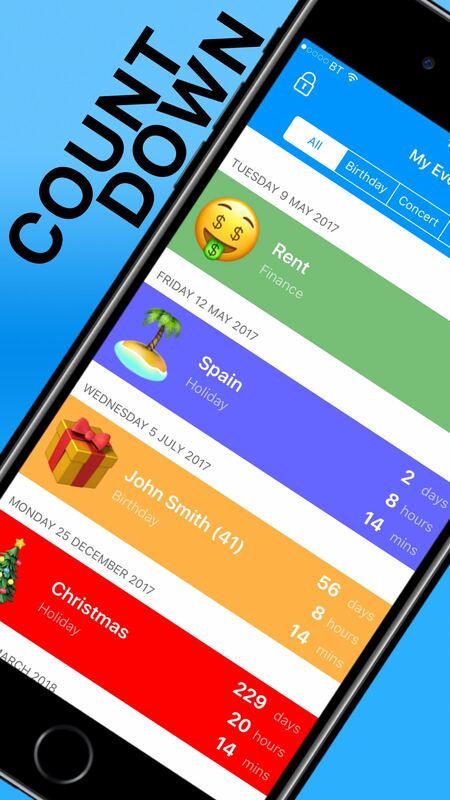 Looking FWD helps you to count down to important events in your life, such as birthdays, anniversaries, holidays, bills etc. 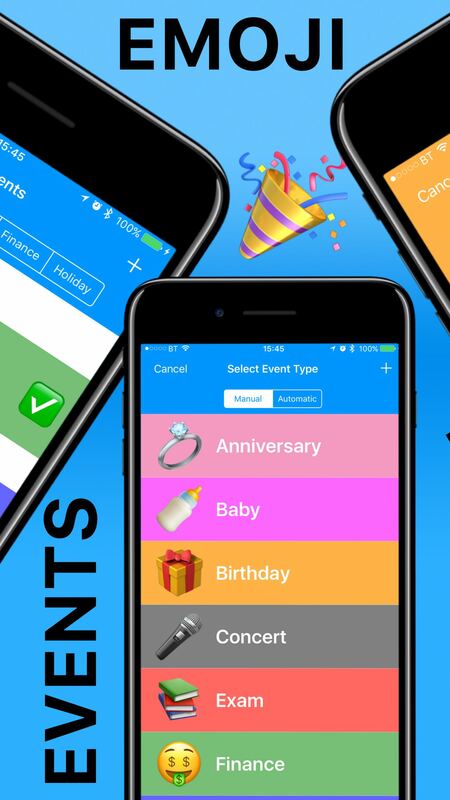 You can create your own event types and you can customise all of your events with colours and emoji. 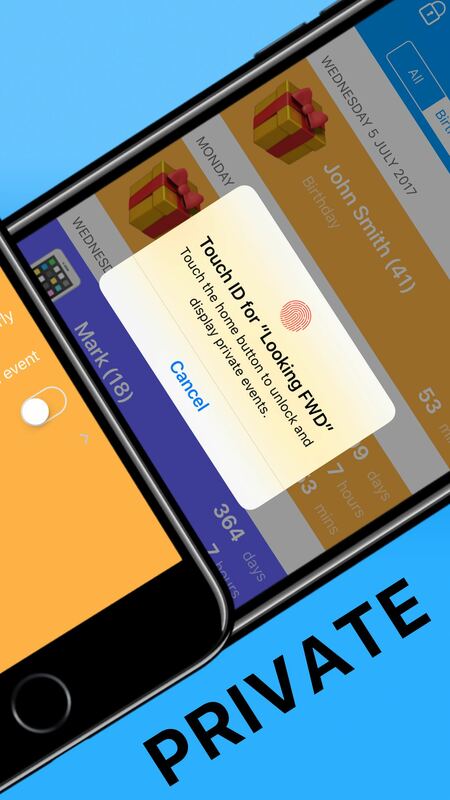 You can also create secret events which will only be displayed when you authenticate using Touch ID. 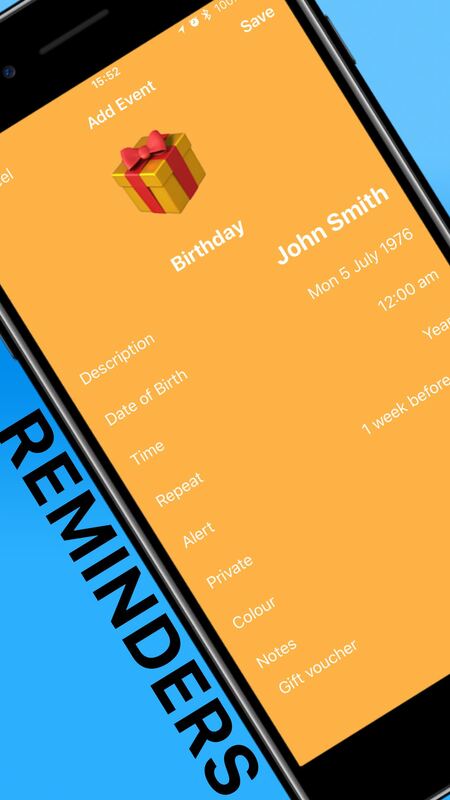 Events can be set to repeat and configured to send you reminders. There’s also a widget so that you can view your upcoming events at a glance! Please note that you can count down to 1 event for free, and a small one-time in-app purchase allows you to count down to an unlimited number of events. The app is completely ad-free. You can view a small video of the app in action on YouTube.